MJM Radio | Are you into self-dentistry? Have you ever thought of doing your own dental work? Like self-serve garages where you can work on your own car, what if there was a dental ‘garage’ where they had all the tools and the anesthetic ready to go! You could stop in, get in the chair, shoot some painkiller into your gum and start drilling! Of course, you’d need to be able to read x-rays, and you’d probably want to know how much anesthetic is safe… a few technical details like that. But heck, think of the money you’d save! In my lifetime, I’ve spent upwards of $100,000 on my teeth. But as you know, it’s not always about saving money. 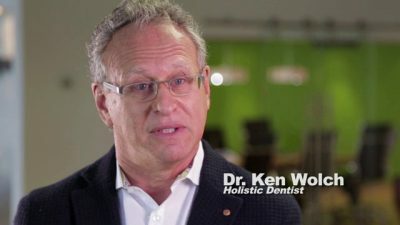 We recently interviewed Torontonian, Dr. Ken Wolch, a dentist with a large practice who is very aware of how important marketing is in order to win new clients. He considered radio and TV commercials, but saw how expensive broadcast is, how there are no metrics to see how it’s working, and no guarantee of success. Then he looked at SEM: search engine marketing. Although initially, it’s a bit more complicated than broadcast, the business leads are easily trackable, and you don’t pay till you start getting results. Once convinced of it’s potential, he decided to do some SEM. For a moment, he considered saving the money and doing it himself. Then he remembered something: I’m a busy dentist with a large practice… I don’t have the time or expertise! That’s when he decided to engage an internet marketing company to help him build his clientele. He went online, checked out several search companies, and decided to go with Toronto-based TechWyse. The reason is, they offered him even more than great search engine marketing. He is now getting hundreds of leads online and the TechWyse system helps him track the leads and follow up properly to increase his prospect-to-customer conversion rate. His search engine marketing is doing far more than he expected, as you’ll see in this interview. When it comes to building your website so it really engages people and converts them into customers, don’t try to do it yourself! A company like TechWyse can help with search engine marketing and lead generation; and MJM can double your conversion rate through the use of customer stories on video – much like this testimonial video we produced for TechWyse.